2. The customer’s mail ID would not be downloaded into Shiplark. 4. You cannot cancel an order from Shiplark. 5. 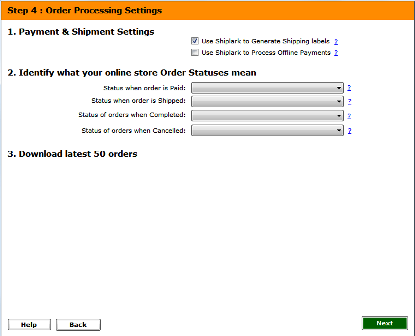 You cannot set an ‘order download batch’ from Shiplark, as Volusion sets a default batch of 100 orders/ items. 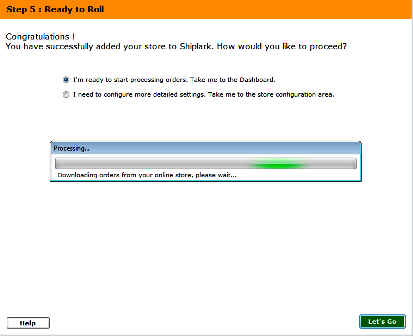 Give your store a name to be used within Shiplark and select Volusion as the store type from the drop down list. A connection to Volusion only requires your Generic API URL. 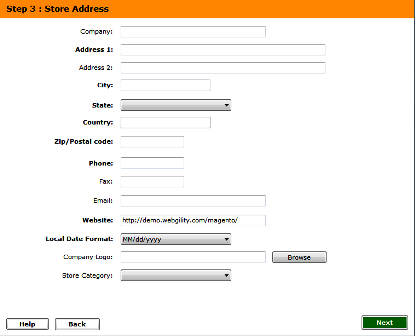 Enter that and click connect to store to begin downloading the store data and settings. The Generic API URL can be obtained by following the instructions below. 1. 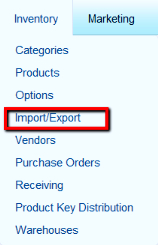 Login to the Volusion admin area, and select the Import/Export option from under the Inventory Menu. 3. Once you reach the ‘Volusion API’ page, scroll down for the Generic section and then to Generic\Orders, click on the ‘Run’ button. a) Go to the ‘Import/Export Data’ page from the ‘Inventory’ menu as per instructions above. b) You cannot post the order back to the store, with a particular status as Volusion would automatically assign it a ‘Shipped’ status. The ‘post back to store’ action would update the store with the tracking ID. c) Click on the ‘Volusion API’ button and click ‘Run’ tab for the ‘Generic Orders’ option. d) Once you reach the ‘Volusion API Run Generic\orders’ page, reset the ‘date range’ and the ‘ID range’ for the orders you wish to download again. Once you have selected the desired range, click on the ‘Reset Export’ button. Once you do this, you will be able to delete the existing orders from Shiplark and redownload the orders. e) For refreshing the item list in Shiplark from the Inventory > My products menu, you will have to follow the same procedure and reset the item download date. Go to Import/Export Data page from Inventory menu in Volusion and click on the ‘Volusion API’ tab. Then click on the ‘Run’ tab against the Generic/Products option. This will take you to the ‘Volusion API Run Generic/Products’ page. You can reset the desired date and ID range from here.